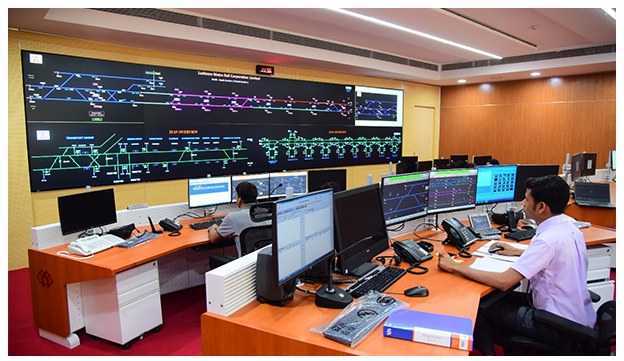 Lucknow Metro Rail Corporation (LMRC), incorporated on 25.11.2013 under the Companies Act, 1956, is a special purpose vehicle (SPV) to implement the Lucknow Metro Rail Project. The certificate of commencement of business was issued on 24.12.2013. This Company will jointly be owned by GoI and GoUP. The authorized capital of the Company is Rs 2000 Cr. Delta, founded in 1971, is a global leader in power and thermal management solutions and a major player in several product segments such as industrial automation, displays, and networking. Its mission statement, “To provide innovative, clean and energy-efficient solutions for a better tomorrow,” focuses on addressing key environmental issues such as global climate change. As an energy-saving solutions provider with core competencies in power electronics and innovative research and development, Delta's business domains include Power Electronics, Automation, and Infrastructure. Delta has 163 sales offices, 64 R&D centres and 39 manufacturing facilities worldwide.